If you’re trying to save money, but still want to enjoy a night out in the town, look into Gofobo (it’s basically the same thing as Sony Screenings but with different new movies). 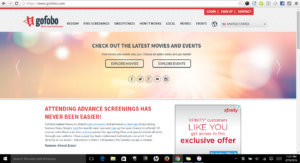 When you register, you sign yourself up for free movie passes in the near future. What’s the catch? It’s first come, first serve and you have to claim your movie passes almost immediately after you receive an email. Most of the free movie showings are on weekdays starting around 7 p.m. to 9:30 p.m. and you only get two free passes. So choose wisely. On the plus side, you get to see select films in theatres before most people can and the only money you have to spend is on gas. 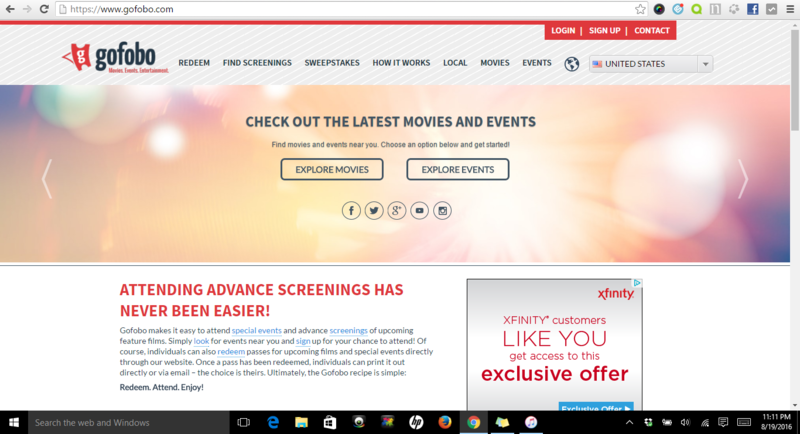 They notify you of screenings in your local area. If they send you a pass to a movie you’re just dying to see, well you get to see it first and without the wait. So what are you waiting for? 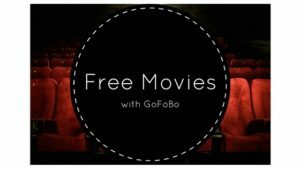 Sign-up today and enjoy a free movie!